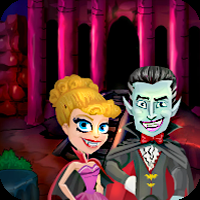 G4E Ghost Lover Escape is another point & click escape game developed by Games4Escape. Assume that somebody locked the Lovers up and they need to move out for Valentines Day Celebration. They need help now. Click on the objects to interact with them and solve simple puzzles. Good Luck and have fun! Good game. I hate sliders, but sorry, this one was actually easy. I had to look at the walkthrough and I'm doing it right, but the colored buttons just don't work.